Jasper is a granular, opaque variety of chalcedony (agate also belongs to this family) which is a quartz (\(SiO_2\)) mineral. 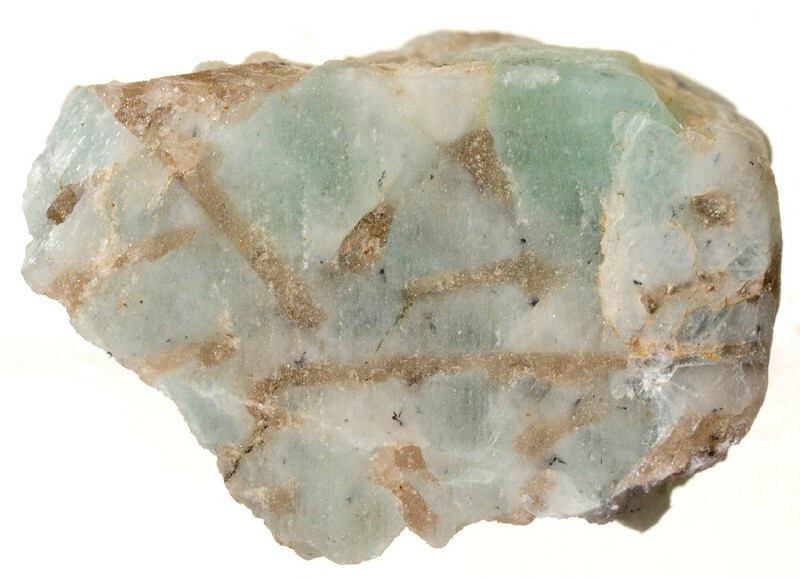 However, jasper, in addition to or silica, contains an unusually large amount of impurities, mainly iron oxide. It is fine-grained and often strongly marked with orbicular or striped patterns. 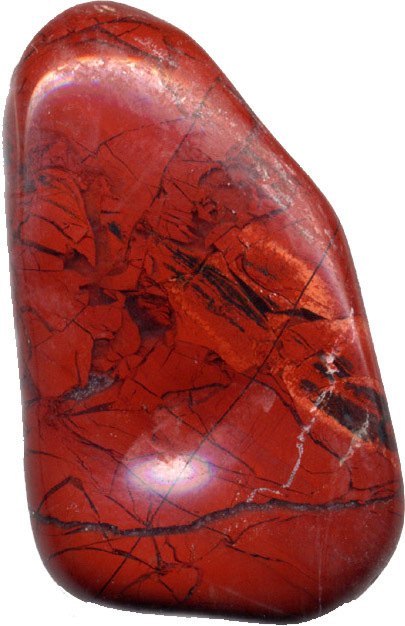 Red jasper is the most popular gemstone. Yellow, green, and brown colors also exist. These colors may be patchy in nature, several \(SiO_2\) of them maybe present in the same stone, and they may fade into each other. Iron combinations is the coloring agent for jasper gemstones.For instance iron oxide is responsible for the red color and oxidized ferric iron (ferrous iron) is responsible for green color. Jasper frequently show a well-developed banding. The bands may range from about one tenth of an inch to one inch in thickness. They are straight and parallel rather than concentric (opposite to banded agates). The name jasper is derived from the Greek word for spotted or speckled stone (in another source it is believed that the name jasper is derived from the ancient word iaspis). Green with red spots jasper is the traditional birthstone of March. 1- Ribbon jasper (also banded or striped jasper) is the most common variety of jasper. It shows a series of alternating straight and parallel bands of different colors. Red and white, red and green or red and black are the most pattern encountered. 2- Very rare blue color of jasper is known as false lapis, with reference to the much more beautiful blue gemstone lapis lazuli. 3- Puddingstone is a variety of brecciated or conglomeratic jasper. 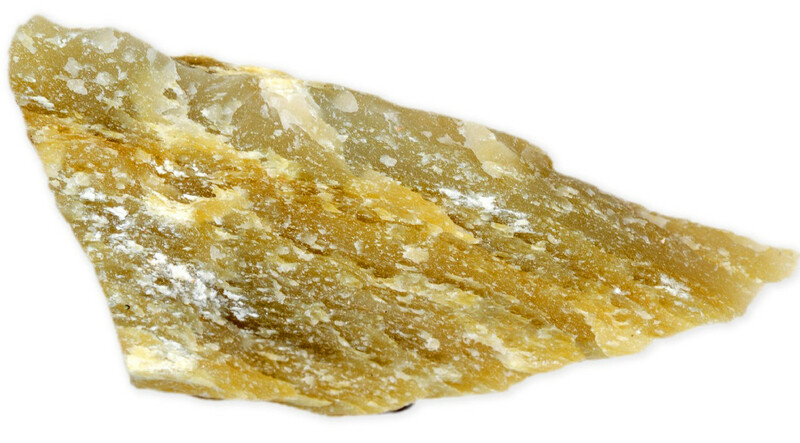 One type forms when jasper is shattered and broken into many angular fragments. 4- Moss jasper shows a large range of dendritic patterns on the surface of the stone. These are due to manganese staining which has created markings suggesting various plants. 5- Velvety black variety is a very special type of jasper. Ancient people called this type of jasper as Lydian which in modern terminology is referred as basanite. It has been used for thousands of years in testing the colors of the streak of gold alloys in order to determine the gold content. Jasper gemstone occurs world-wide. 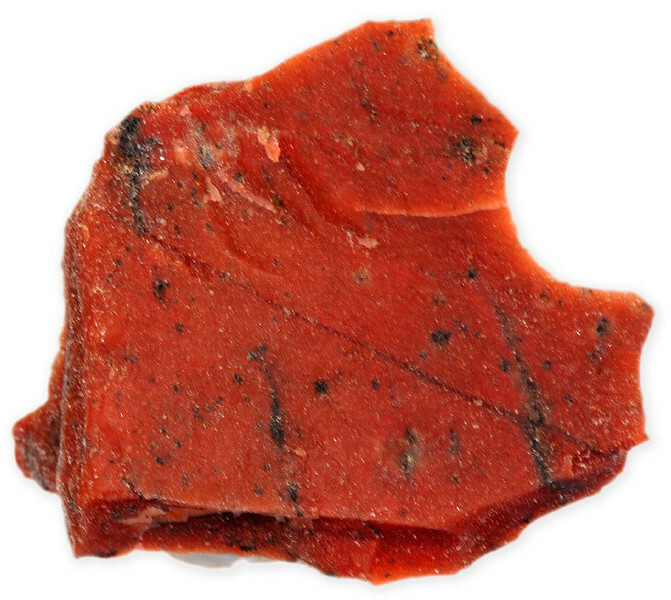 India and Venezuela are the main producers of red jasper. Orbicular jasper comes mainly from USA (California); striped jasper comes from France, Germany, and Russia. You can find our interactive map for gemstone of the world Here. very sensitive to temperature and the color of jasper can fade when heated, therefore jasper should not be cleaned using steam cleaners. 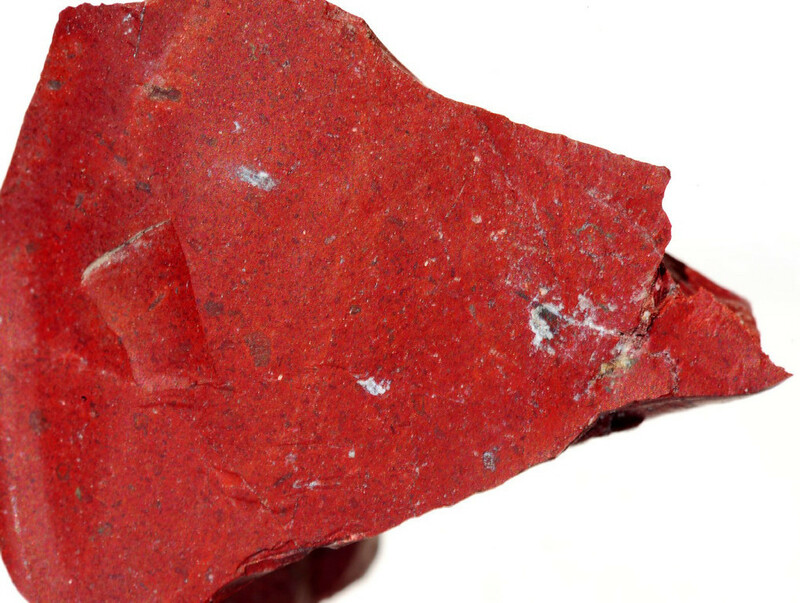 However the color can sometimes be restored by keeping jasper in damp conditions. Jasper can easily be cleaned using soapy water and a brush. As Jasper is a relatively porous gemstone it should not come into contact with cosmetics, hairspray, perfume or household chemicals because it stains easily. 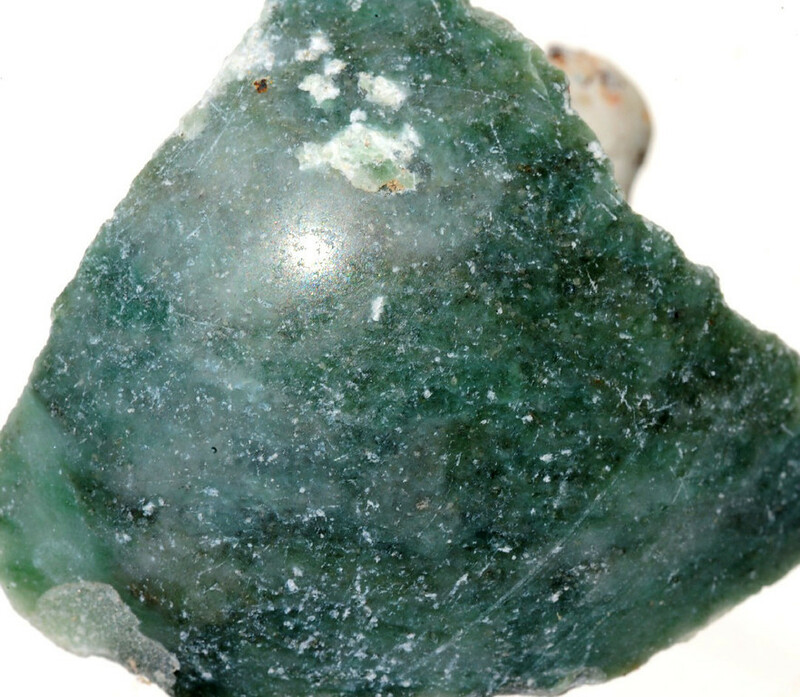 Jasper is among the favorite gemstones in the ancient times. It has been used for centuries for carvings and in mosaics and inlays. Today it is used as an inexpensive gemstone in all types of jewellery. As jasper is a hard gemstone it is used to make beautiful every-day-wear gemstone rings. It is also used for beautiful, pendants, earrings, and necklaces. Jasper is also used as an ornamental stone, largely because it takes an excellent glossy polish (jasper is usually polished with cerium oxide on felt). Shop from our amazon-powered store Here or alternatively shop for jasper jewellery directly from amazon.com. Ornamental made out of jasper was very popular in ancient times. According to St John in Revelation, jasper was used to make one of the gates of the Holy City. Jasper was also popular during the Middle Ages because of the powers of protections that were attributed to it. Ancient people believed that a mottled jasper suitably engraved could protect the wearer from drowning. It was also believed that jasper has the power of repelling scorpions and spiders and to keep the wearer free from ailments of the chest, lungs and the stomach. Bil Myatt, Dictionary of Australian gemstones, Summit books, published by Paul Hamlyn Pty Limited, 1974.